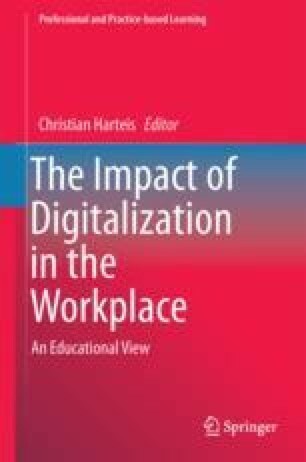 The chapter sets the discussion within the broader socio-economic context in which further education teachers’ labour, one characterized by underemployment and over-qualification, precariousness and the prevalence of ‘rotten jobs’. In this context, educational workers are subject to high levels of surveillance rooted in regimes of performativity and institutional risk aversion. Paradoxically these practices rest alongside what Glazer (2014) describes as ‘busy-work’ – meaningless activities that distract us from interrogating the nature of our labour. The previous processes are facilitated by the digitalization of work and carry significant social justice implications which are averred to in conceptualizations of immaterial labour, digital capitalism and cognitive capitalism. Whilst digitalization has enabled work to penetrate our entire lives appropriating what could be described as free labour, we should nevertheless avoid an overly technicist and determinist analysis. Digitalization not only carries with it oppressive possibilities but also provides a site of struggle that can be mobilized in the pursuit of social justice. The chapter explores these tensions in relation to the work of further education teachers. Allen, M. (2015). Hard labour: Young people moving into work in difficult times. URL: https://radicaledbks.files.wordpress.com/2013/09/hard-labour-oct-151.pdf. Accessed 1 Apr 2016. Cedefop (2012). Research Paper No 26: Future Skills Supply and Demand in Europe, p. 29. Retrieved from www.cedefop.europa.eu/EN/Files/5526_en.pdf on 7 Apr 2013. McDonnell, J. (2015). Labour Party Conference Speech, 28 September. http://labourlist.org/2015/09/full-text-shadow-chancellor-john-mcdonnells-speech-to-conference. Accessed 7 Oct 2015. Office for National Statistics (ONS). (2014). Wealth in Great Britain Wave 3, 2010–2012. Retrieved from www.ons.gov.uk/ons/rel/was/wealth-in-great-britain-wave-3/2010-2012/ on 4 February 2015. Vercellone, C. (2008). The new articulation of wages, rent and profit in cognitive capitalism. In Queen Mary University School of Business and Management, The art of rent. Retrieved from https://halshs.archives-ouvertes.fr/halshs-00265584/document on 18 September 2015.